". . .a Proustian vision of an intoxicating, vanished age—its youth and vibrancy brought to life." In 1968, Peter Schlesinger, wide-eyed and twenty years old, arrived in London from his native California at the invitation of artist David Hockney to study at the Slade School of Art. He was introduced by Hockney to a bohemian set of artists, actors, musicians, photographers, dancers, designers, and society figures scattered around Notting Hill. 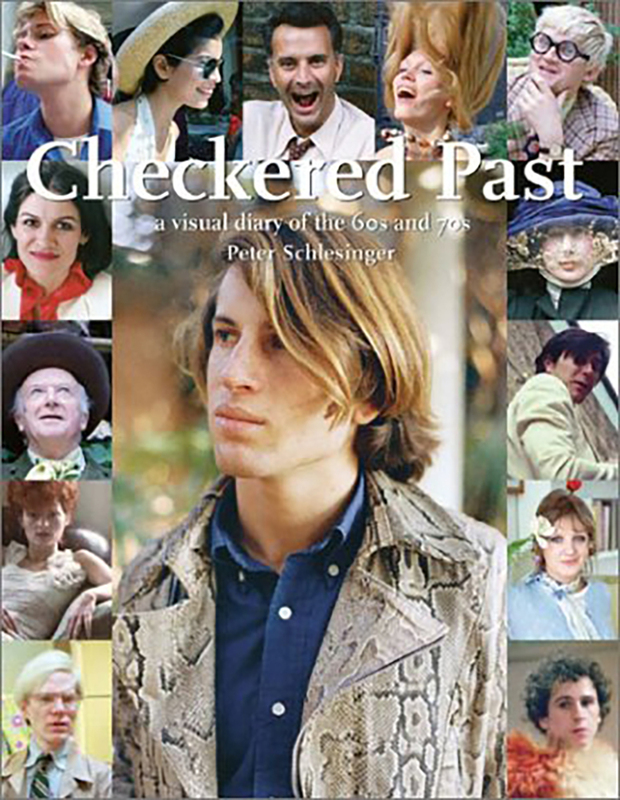 Through the next decade, Schlesinger would photograph these friends and acquaintances in everyday situations, both at home in London and during numerous trips to continental Europe; many of the resulting images became the basis for Hockney's paintings.These unique, intimate images open a window on a charmed era: the late 1960s and early 1970s, when London swung to a gentler beat than it does today. Schlesinger's wry eye guides us through artists' studios, fashion shows, grand country homes, and gay discos, and lets us peek not only at the private Hockney but also at W. H. Auden, Christopher Isherwood, Paloma Picasso, Twiggy, Robert Mapplethorpe, Yves Saint Laurent, Manolo Blahnik, Celia Birtwell, and Rudolf Nureyev, among others. The photographs, paired with Schlesinger's witty captions, let readers into a long-gone world, and legendary shoe designer Manolo Blahnik adds a gossipy, anecdotal foreword that introduces the key players. Peter Schlesinger was born in Los Angeles in 1948 and studied art at UCLA, where one of his instructors was David Hockney. In 1968 he moved to London, where he attended the Slade School of Art until 1972 and spent the next six years as a painter and photographer. He moved to New York in 1978 and continues his career as a painter, sculptor, potter, and photographer. Manolo Blahnik, based in London, is the world's preeminent designer of extraordinary women's shoes.